There’s a clear balance that needs to be achieved with email newsletters. A 2016 review by Econsultancy showed that three-quarters of companies agreed that email offers “excellent” to “good” return-on-investment (ROI), but then again, data from HubSpot acknowledges that seventy-eight percent of consumers have unsubscribed from emails because a brand was sending too many. Email marketing tactics change month to month and year to year, but there is one strategy that is essential no matter what day of the week you’re sending your emails, how catchy your subject line, how much you’re personalizing the messages, or how you’re segmenting your audiences. Your email newsletter and your website need to work in partnership every step of the way. When you tell your audience, “you’ve got mail,” are you making the most of your effort? 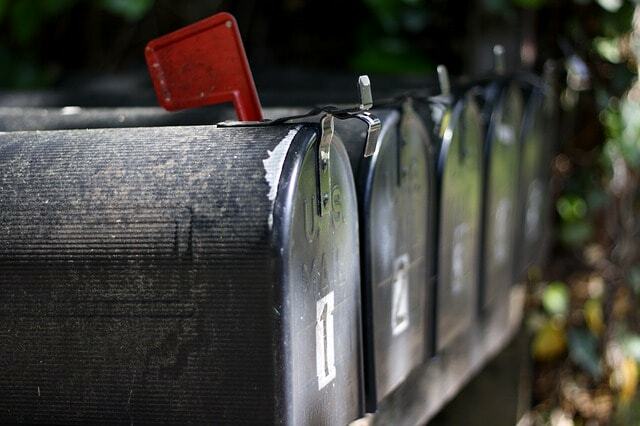 How do you maximize the relationship between your email newsletter and your website? Newsletters shouldn’t be stand-alone content pieces; they should direct readers to your website. You have worked hard on your web content, whether it’s your latest company news, your latest blog, an informative article series, infographics, videos, or otherwise. You know that updating your website regularly has huge SEO benefits, as does sharing its content via social media. So if you have all of this rich material, give it new life and another chance to be explored by your newsletter audience. Recycled content shouldn’t be the only thing in your marketing newsletters, but including teasers to your content drives readers to your website. Once they’re there, they’ll have easy access to your services and/or products, allowing the engagement to continue. If your newsletter doesn’t have multiple paths to direct your audience to your website, the engagement simply ends. Websites need to include an easy-to-find but not overwhelming newsletter sign-up space. Recent search engine algorithm changes are beginning to shift how you will see offers to sign-up for marketing newsletters. Make sure your business website is up-to-date with recommendations so that you won’t be negatively impacted on the search engine results pages (SERPs). In your face, content-blocking pop-ups annoy website visitors who simply want to see a webpage. This is especially true on mobile devices, where pop-ups often fill the entire screen. Tactics like this are now being penalized by Google. Instead of full-screen pop-ups, consider a sign-up bar at the top of your website or a smaller slide-in that does not block much content. At minimum, make sure you at least remove the pop-ups from mobile display. Including a newsletter sign-up at the end of blogs or in a footer are also smart placements, though these spaces don’t historically gain the attention of readers as greatly as other spaces. Analytics allow you to track user behavior on your website after the initial click-through from your email newsletter if your website and marketing newsletter are well integrated. If your marketing email brings traffic to your website, you can pat yourself on your back for just a moment, but if you don’t know what happens next, important data is lost to you. Are certain menu items more effective than others? Are embedded hyperlinks allowing users to easily navigate from page to page? Where do users go? Where do they leave? How long do they stay? Here’s just another way that Google Analytics proves to be a valuable tool. Many email service providers, such as MailChimp and Constant Contact, support automated link tracking, so this process is easier than ever. Giving away freebies through your website can be the first step to relationship building, but ensure the freebies are only given to real subscribers. We live in the era of free. Giving away a time-saving cheat sheets, handy templates, inspirational infographics, fascinating case studies, or something similar can give a website visitor the incentive they need to want more from you. Showing off your best and leaving your audience wanting more is a great business plan, after all. However, if a visitor is directed to a free download page of your website as soon as they fill out a form, who says that they are using a real address? They could have just entered a fake email address and earned that freebie you and your team worked so hard to organize. Instead, don’t share that link to the free download page of your website until after a user has confirmed their address in the opt-in email. This way, you ensure not only that the email address is real but that the subscription is confirmed before giving away your great materials. Having a strong email newsletter allows your business to regularly engage with your audience, whether they’ve been active with you in other ways recently or not. Just like a website, your newsletter needs to be well-crafted and tailored to your audience; it needs to be mobile friendly; it needs to have calls-to-action (CTAs), so readers are directly invited to take the next step with you; it needs to have visuals to catch your audience’s attention. A newsletter needs to be many things, but don’t forget the interplay between that marketing email and your website. It’s not a piece you always focus on, but this symbiotic relationship makes everything else stronger in the end.